The biggest concern my clients have when they start working with me is that they don’t have a big enough audience or email list to book clients or achieve their financial goals. So when I ask them what they’ve been doing to build their audience or email list, why is it that they don’t have an answer? The Answer: A Distractive Learning Cycle. As savvy solopreneurs, we want to succeed, we want to have it all: clients, cash, time and freedom! Unfortunately we think that to achieve this level of success (whatever it looks like to you) requires ongoing learning of ALL the things, ALL the time. We read, we listen, we watch and we subscribe, but this is not going to build your audience or email list. Don’t get me wrong, I love hearing inspirational success stories as much as the next 30-something, and tips or hacks from other solopreneurs who have gone before me, but at some point to see results we must take action. If you don’t tell people about your opt in, they don’t know it exists. When you don’t convey HOW you will transform their life, business or health – they don’t see a need to follow along. Engage more than you post. A few months ago a friend DM’d me on Instagram because James Wedmore had liked one of my posts, at the time I had no idea who he was, so I checked him out. He didn’t like my post because of who I was, but because I am someone who would potentially be interested in hearing more from him. Suddenly he was on my radar, and now I know who he is and I listen to his podcast. If you are not spending time each day to engage with your ideal clients through social media you are leaving money on the table. Connect YOUR story to your community. When you think about the people who you follow, repost and subscribe to it’s unlikely to be just because they have this job they do, or a business they run. It’s because in some way you connect to them, as Simon Sinek said so well in his TED talk: people don’t buy what you do they buy why you do it. YOU might feel like your story is old news, but to a new follower it’s brand new information which has the possibility of turning them into a raving fan. If you are health coach, share your own story and journey, what you learnt the hard way and why it is you decided to get certified. If you are a copywriter share your journey of copywriting, and let your audience see that we all have moments of struggle with writing. Build a community over an audience. They describe community as: The condition of sharing or having certain attitudes and interests in common.Which one do you want to create? Do you want to assemble people and talk at them, or create something where like minded individuals with common interests can come together and flourish? 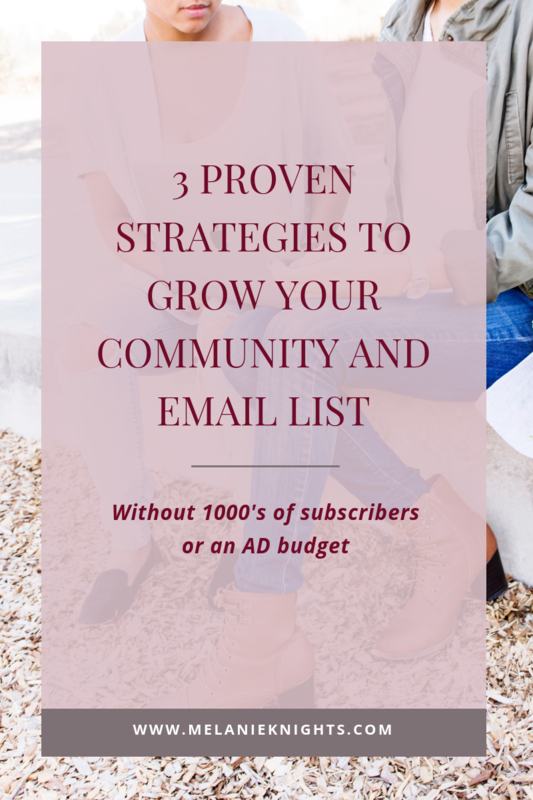 So next time you find yourself struggling with building your ‘audience’ or growing your email list, consider HOW you can build a sense of community around what you do and why you do it. How can you inspire trust and confidence amongst other people so that they feel like they are no longer alone? I know that it often feels like an uphill battle when it comes to social media and growing your email list, trust me I’m riding those waves right alongside you! The hard truth is that it will NEVER be enough, even that arbitrary number you have in your head that you define as success, when you reach it, you’ll want more. So, instead of monitoring likes, subscribers and followers as your metric consider what is you want your community to take action with. Do you want them to read/watch/listen to your content? Are you inviting them to join your community? Only you can decide, but the action they take WITH you is greater than the arbitrary numbers that show up on your account. If this is something you have been struggling with for months, or maybe even years then I’d like to extend an invite to you. I’m hosting a free web-class on October 30th where I will be walking you through how to figure out exactly what your business needs next to exponentially grow without 1000’s of subscribers or an AD budget. I would love for you to join me, dress code is solopreneur casual aka yoga pants and I recommend you bring your coffee, a pen and an open mind! You can register and save your seat by clicking right here. « 5 Time Management Myths Which Need To Die!